Google has announced a couple of major products, the Samsung built Nexus 10 tablet and the Nexus 4 smartphone from LG. Apart from the new products Google also announced an upgraded version of the Nexus 7 mini tablet, the 32GB model of which will now be available in HSPA+ mobile option. And just like last time there is a new version of Android operating system to go with the new devices. 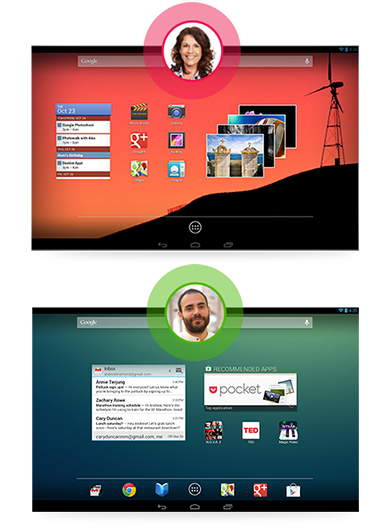 Android 4.2 was expected, with some suggesting the moniker of Key Lime Pie. But thankfully, Google has decided to stick with Jelly Bean for the current Android upgrade. Android 4.2 remains the same for the most part, save for some refinement over the earlier version and a couple of new features. These include, the ability to create multiple accounts and the ability to mirror device display content on any HDTV without the need of a proprietary device. Also, new features have been added to Google Now. The leaked Nexus 4 UK sales ad told us about something called “360 degree” camera. This is not a new device exclusive feature but a new feature on the OS. This camera feature allows us to capture 360 degree panorama shots with ease and lets us upload them to Google Maps or Google Earth. In a way, we will be creating our own Streetview map and contributing to Google Maps. Gesture typing is now a native feature of Android keyboard. Those of us who have used Swype app are already familiar with this feature, which allows us to type by dragging out finger over the letters, lifting it only when a word is completed. Android dictionary has been improved and voice to text now works even in offline mode. Perhaps the most welcome feature is the ability to create multiple accounts. Each account will have its own home screen and users can maintain their own game scores and switching between accounts is as easy as switching between apps. This feature is only applicable for tablets. Android 4.2 comes with Miracast, which means what you see on your tablet or smartphone can be easy streamed over to a HDTV. Anything and everything, from videos to gaming can be viewed on a larger screen. It is similar to iOS AirPlay but here you do not require a proprietary device like the Apple TV to do the job, a cheap adapter for your TV is all you require. Google Now, now does a lot more. It will now remind us of an appointment, tell us about a train or flight schedule, tells us about the weather and traffic and a lot more. And all this is presented in the form of Google Now cards and is completely customizable. Android 4.2 also features an improved Notification Center, Daydream screen saver, which displays photos and news updates and such when the phone is idle, a revised UI for tablets and many more small refinements.